By 2020, influencer marketing is expected to become a $5-10 billion industry. Marketers are investing a lot of money in influencer collaborations to increase their brands’ visibility. For anyone who is planning to leverage influencer marketing, the first question is about the cost involved. How much does influencer marketing cost? 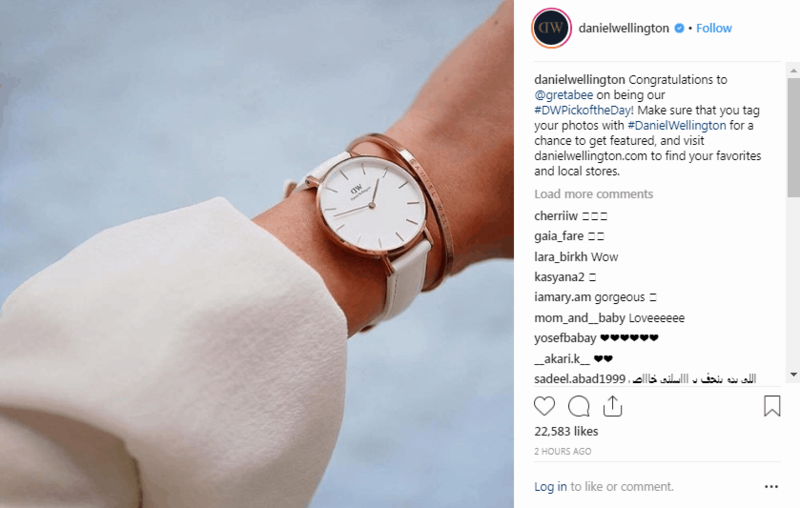 How much does an influencer charge per sponsored post? Despite being commonly asked, these questions do not have clear answers. The cost of influencer marketing is hardly ever talked about, and there is no standardization of prices either. This can leave marketers confused about how to negotiate with influencers to reduce the cost of their campaign. To help you, I am going to discuss a few factors that can help you determine the cost of your influencer marketing campaigns. Which Factors Decide the Cost of Influencer Marketing? Influencers, who have just started their career, might agree to promote your brand for freebies or barters. But if you want to collaborate with the top influencers in your niche, you need to pay them the right price. After all, they give you access to their audiences and put in time and effort to promote your products. The more work you expect from your influencers, the more you need to pay. That’s a no-brainer. So, before you approach an influencer, make a list of requirements that you expect them to fulfill. Certain campaign requirements can increase your influencer marketing cost. For instance, if you want them to include backlinks or cover topics that require substantial research, be ready to shell out more money. For sponsored social media posts, do you expect them to respond to comments? Do you want the right to repurpose the content they create? If your answer is yes, you should know that the pricing will increase. Similarly, for sponsored videos and blog posts, the length of the content can be a major deciding factor. When it comes to influencer marketing, not all social media platforms are considered equal. With the success of IGTV videos, shoppable ads, and Stories, Instagram emerged as the most popular influencer marketing channel. Just like the popularity, the cost of influencer marketing on each of these social channels is different. As a general thumb rule, the cost of leveraging popular influencer marketing channels is higher due to the increased demand. Until a couple of years ago, the number of followers was the number one factor to determine campaign cost. The number of followers an influencer has gives brands an insight into the amount of reach they can get. 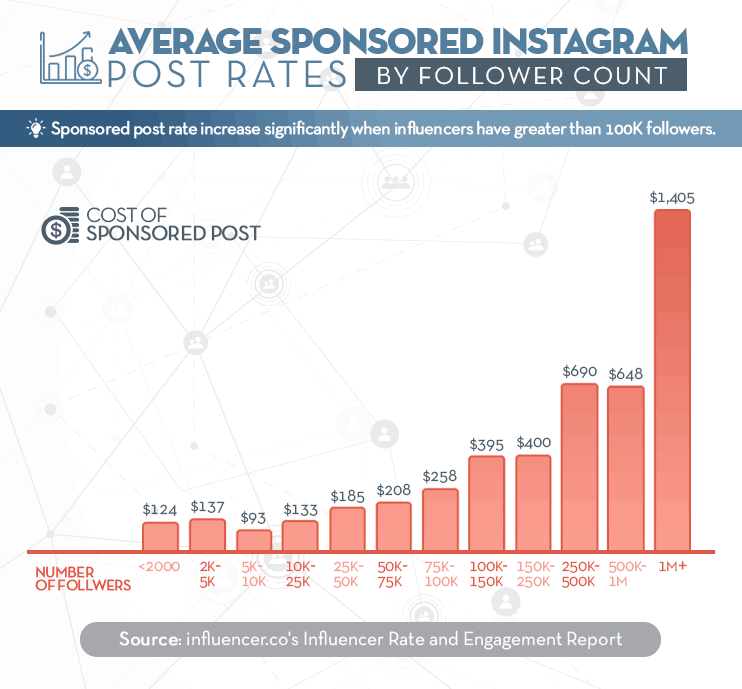 According to a report by Influence.co, sponsored post rates increase with follower growth. The rates increase significantly when an influencer crosses the 100K follower threshold. In an interview with Digiday, Henry Langer, lead account manager for an influencer marketing platform, revealed some important figures. According to him, brands can quote $250 for a sponsored Instagram post to influencers who have less than 50K followers. With the addition of each 100K followers, brands should add around $1000 per post. However, if you are collaborating with celebrities or superstars, you need to pay way more. For instance, Kim Kardashian, reportedly, charges more than $250,000 for one sponsored post on Instagram. On the other hand, fitness influencer, Lyzabeth Lopez, revealed that she charges about $3000-$5000 per post and about $20,000-$100,000 per campaign. While influencers with a greater follower base tend to charge more, partnering with these mega influencers doesn’t always guarantee a successful campaign. While the number of followers is an important factor, it isn’t the only one. Some influencers inflate their followings. A great way to find out whether an influencer has real or fake followers is to look at the engagement on their posts. Genuine followers are likely to engage with the content an influencer creates. You can evaluate the engagement an influencer can help you drive by looking at the number of comments and likes on their social media posts. To evaluate the engagement rate of an influential blogger, you should look at the number of views, comments, and number of social shares. You can also check out the details about their blog traffic, bounce rate, and the average number of pages viewed per visit. A higher engagement rate means that the influencer can help you generate better quality leads and more revenue. This makes it obvious that you need to pay more to influencers who have engaged followings. If you want to collaborate with influencers for sponsored blog posts, you need to look at their website traffic. The higher the traffic, the better chance you have to reach a bigger audience. You should focus on the amount of organic traffic an influencer gets. A decent organic traffic can help you gain a better ROI from your marketing campaign. But this also means that you will need to pay influencers more. How are you finding the right influencers to partner with? If you are reaching out to them via a talent agency, your need to increase your budget further. All talent agencies take a commission to connect brands with the right influencers. So, their fee is likely to add to your influencer marketing cost. Influencers, who work with talent agencies, usually have a lot of experience in their industry. They also tend to demand a higher fee for their expertise. Your industry and the product you are selling can also affect your influencer marketing cost. Promoting luxury watches will definitely cost you more than promoting a brand of chocolate. Generally, expensive products require bigger budgets because the influencer marketing cost is higher for them. Sponsored post rates vary from industry to industry. 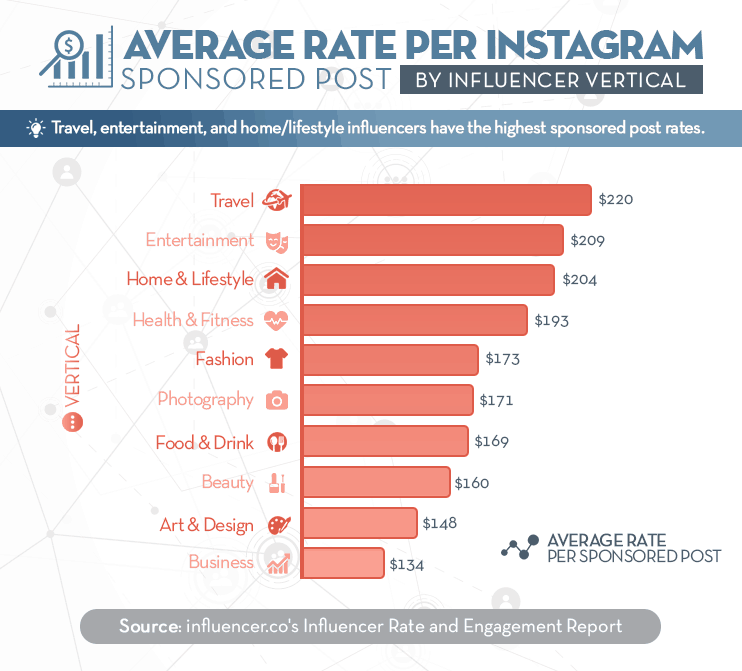 Travel and entertainment are the most expensive industries for Instagram influencer marketing. How Can You Reduce Your Influencer Marketing Cost? Influencer marketing can be economical and effective if you strategize your campaign well. If you want to boost your campaign ROI, you should try to reduce costs and maximize returns. Before you reach out to influencers, make sure you have a clear idea of what you want to achieve. Define your goals and KPIs clearly. This can help you manage your resources more efficiently. 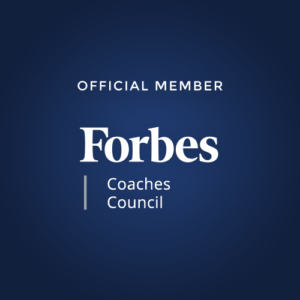 Not just that, setting clear goals can also help you find and partner with influencers who best suit your campaign structure and business values. Understand who your target audience is to develop a successful influencer marketing strategy for your brand. For instance, if you want to target millennials, you need to run a campaign on the platforms that they use the most. If your audience is on Pinterest, but you choose to promote actively on YouTube, it’s a waste of money. To use your influencer marketing budget efficiently, find out who your target audience is, what their interests are, and who they would trust. A great way to keep your influencer marketing cost low is to collaborate with micro-influencers. They might not have massive audiences, but their engagement rates are generally higher than most mega influencers. 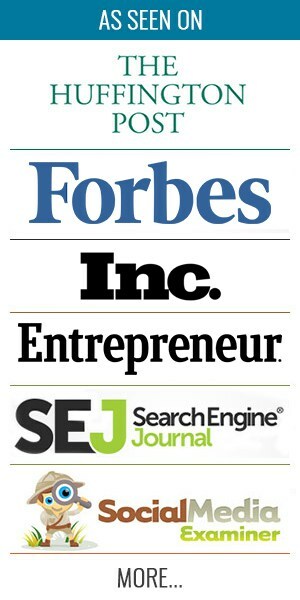 They can help you engage and convert more people. And the best part is that micro-influencers charge considerably lesser than more established influencers. How can you get the most out of your influencer marketing budget? Repurpose the content that influencers create for you. This can help you increase the shelf life of your influencer-created content, ensuring that the content stays relevant even after a campaign gets over. You can repost the same content or change its format. For instance, you can repost photos shared by your influencers with a unique caption. Or, you can also feature the posts you like the most on your brand’s profile. For instance, Daniel Wellington picks up one photo every day and share it with #DWPickoftheDay hashtag. Another way to repurpose your influencer content is to write an article based on a video. You can get as creative as you want with this strategy. But remember, you should always ask for the rights to repurpose influencer-created content before you begin the campaign. You might have to pay them more, but repurposing content can reduce your advertising costs. What is Influencer Marketing and How Can You Use It to Grow Your Business in 2019? There are no standardized rates in the influencer marketing industry. A sponsored post can cost anywhere from $100 to $100,000. The cost of influencer marketing relies heavily on your industry, campaign goals, and the influencers you choose to work with. 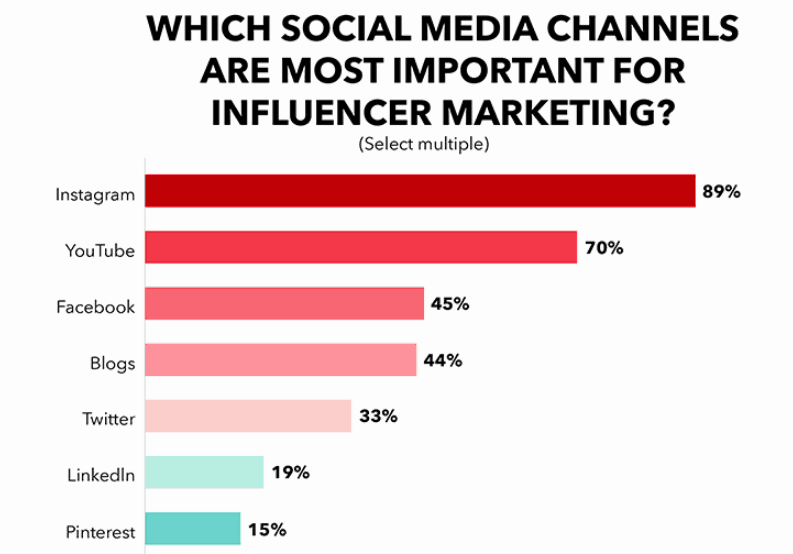 You should consider all of the factors we’ve discussed above to determine the cost involved in running your influencer marketing campaign. Which other factors can affect the cost of influencer marketing? Please share your views in the comments section below.